My name is Sally Ornellas and I am passionate about exploring the links between wellness of body, heart and mind. I offer Yoga classes, individual or group sessions and workshops, Shiatsu and psychological therapies, including CBT, EMDR and Mindfulness, all available around North Devon and beyond. While modern Western medicine offers amazing cures for a variety of ailments and illnesses, these are often reactionary and a short term fix, not necessarily addressing the many and varied disturbances that may cultivate illness. I believe that each and every one of us has the ability to live life with more ease, but sometimes we need help to discover the best way to do this. The Yoga Breathing approach is just that, offering support and guidance through regular attendance of a local Yoga class, workshop, or a more individual therapy. 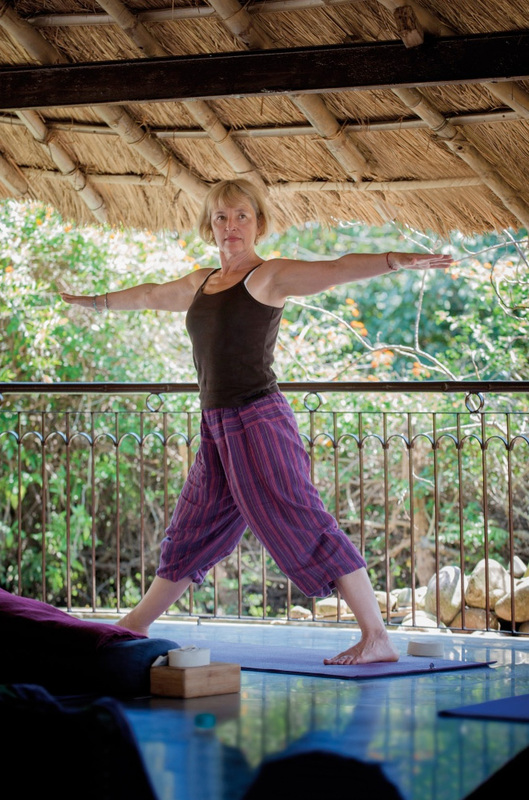 I have been practising Yoga for over 25 years, graduating from the teacher-training course with the Devon School of Yoga and my teaching reflects the holistic, flexible approach of the school. I am currently teaching the ‘Yoga for Mental and Emotional Health’ modules on the DSY Teacher Training and Post graduate Yoga Therapy coursesIn 1993 I qualified as an Occupational Therapist, working within Social Services and the NHS with children and adults with a range of physical, mental and emotional difficulties. In 2007 I qualified as a Shiatsu Therapist and have been building up a private practice since then. This combination of therapeutic interventions along with my continuing fascination in our human condition and experience, helps me to offer a non -judgmental, holistic approach to teaching and therapy.